While offices have gone paperless and converted into using technology, office stationery and supplies are still indispensable and useful today. You may think that they are just trivial items but you see them being used all around the office – at your desk, the meeting rooms and even the pantry. Can you imagine not having a pen to sign documents or jot down notes with or not having a proper drawer to file your paperwork in? Using such stationery can make simple tasks like correcting typo errors and sorting out paperwork easier and faster. Therefore, it is important to equip your office with ample stationery supplies. With that in mind, what are the must-have office stationery you need? What are tools you need to get your workplace in order and ramp up your company’s productivity? Check out these 21 essentials you should have in your office or workplace. We chose the laser pointer as the first item because every employee needs to deliver a keynote / powerpoint presentation. If used properly, the laser pointer becomes an extension to a presenter’s body. Acting as a tool to harness attention, it helps maintain clarity during a presentation. Ensuring that everybody is aware and on the same page / dot. Imagine going through a process flow diagram and referring to a process block as “that box”. 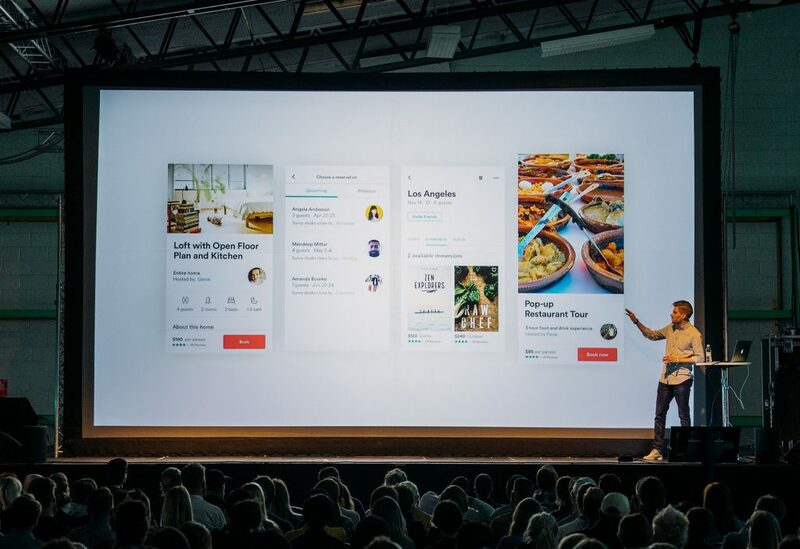 Without a tool to help harness attention, slides can get messy quickly. I’m not sure about you, but we run out of whiteboard markers a lot. We use it to get on the same page during meetings and conduct design sprints (which we do quite often). Therefore, it is essential to find a whiteboard marker that is affordable yet functional. Innovation can get messy really quickly! Probably the thing you use the most on a daily basis. The phone is an important communication tool in the office. Therefore, it is important to invest in a good phone. If you find yourself making multiple calls to the same people, it may be wise to buy phones with quick-dial numbers. If your job requires you to be mobile, then buying a wireless phone might make sense. For all the trips, slips and accidental clips. Don’t flip, get a first aid kit. But above that, make sure your organisation is in line with Workplace Safety and Health Laws. Ever had one of those days when your entire office was fired up and suddenly there was a fire? Neither do we. But with all seriousness, facility managers are required to have a fire extinguisher in the premises at all times. For those times that you’ve made a mistake while writing, scribbling over your mistakes can make your work look messy. As a result, your work may become illegible for the reader. To make your documents look nice and neat, you’ll need a handy correction tape. Correction tape is a white, opaque masking substance that glides easily over a piece of paper which can completely cover printer and pen ink. There are many reasons why using correction tape is better than correction fluid. Correction fluid may spill, overflow or smear across a page. It also requires time to dry and may even damage the paper over time. With correction tape, you won’t have any of those problems – just glide, cover and write over the tape for a fast and easy fix. Whether you’re taking notes for a meeting or just need somewhere to jot down your daily to-do list, a notebook will definitely come in handy. There are a huge variety of notebooks in the market, but we recommend a ring- or spiral-bound pad. Traditional stapled or glued spines leave deep creases along the bound edge of a notebook. Over time, this can cause the papers to tear and fall apart. Using a notebook can help organise your work! 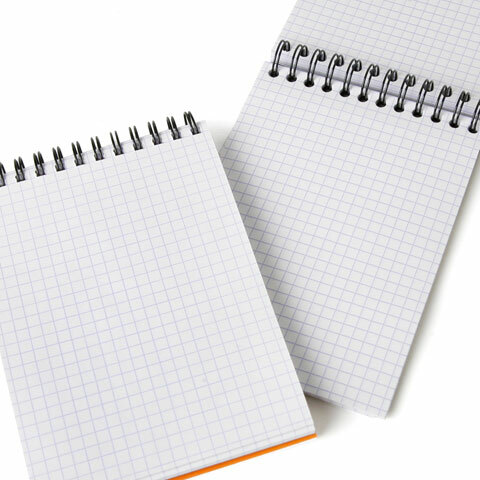 Spiral-bound notepads are either binded on top side, also known as the short-edge, or the left side which is the long-edge of the notebook. Which style is better will depend on how you would prefer to use it for. Another benefit of spiral-bound pads is that it’s easy to remove pages from them without damaging the notebook. So if you need to tear off any page, simply rip the particular page off and the rest of the pages of the notebook will still remain intact! While small staplers are fine for attaching 2 or 3 sheets of paper to each other, a heavy-duty stapling machine is the only piece of office stationery that’ll work for large stacks of documents. A good heavy-duty stapler is able to secure up to 210 pages at a time with ease. Unlike small hand-held staplers, they’ll neatly and efficiently bind your paperwork without creases, broken staples or the stapler itself breaking in the process! With fewer user-issues and less maintenance, a heavy-duty stapling machine is definitely the way to go. Plus, it’s not only papers that can be stapled and binded. The machine can even bind fabric, silk and even leather, making it a versatile stationery you need in your office. Having stacks of documents and piles of paper cluttered on your desk is a common sight in every office. This makes the tiered paper tray a must-have on every desk. Analogous to a physical version of your inbox, a tiered paper tray helps you organize any paperwork you have, similar to sorting out your emails into different folders. Various documents such as mail, important contracts, or your to-do list can all be sorted into manageable piles and prioritized accordingly. The stackable design of the paper tray maximizes on your desk space as it takes up little space while being able to store various documents. Wire mesh trays are more commonly used as opposed to wooden or plastic trays as they’re lightweight and durable. The mesh design also gives it a sleek and stylish look, which will be perfect as a complement to your office decor. The wired mesh trays is not only functional but it also adds some style to your office. Highlighters are my personal favourite when it comes to stationery. The bright and vibrant colours makes reading through long paragraphs of words much less mundane. Use highlighters to mark out key points and phrases to make them stand out in a page. Highlight such important parts also makes it easier to read and point out when you scan through the words. Highlighting also helps with summarising key pointers. It’s essential that you get high-quality highlighters, as cheaper ones are more likely to leak, smudge or dry out quickly. Quality highlighters are often refillable and have 2 width options for versatility. To make the best impression on your customers and clients, all contracts, reports, and documents need to look perfect. However, if you have large documents to transport from one place to another, it can be very difficult to not to fold or tear them. It is important to keep such documents as crease-free as possible. That’s why every office needs a hard card case for keeping its paperwork in tip-top shape. This also protects them from scratches or damage. Available in various sizes, it is perfect for certificates, drawings and all sorts of paper documents. Slip your paperwork into this hard-backed document case and keep them neat and ready for any presentation. It may seem obvious that the following product is necessary in every office. What office can run without paper after all? Even if you work in a ‘paperless’ office and most of your work is online, you’ll still need paper to jot things down and print things out. Important documents such as contracts and agreements have to be printed out and hand-signed. We cannot emphasize further how important it is to choose high-quality printer paper. Good quality paper will run smoothly through a printer and produce a crisp and clear image. Whereas for lower grades of paper, it can result in bleed-through from printer and pen ink. The papers also tend to be made of lower quality and thinner material, which can affect the quality of your printed documents. Dog-earring pages can leave annoying creases in your books or notes. With colorful filing tabs, that will be a thing of the past. Paper filing tabs can be written on and labelled. The colorful tabs also makes it easy for you to mark and locate the pages you need, especially when you have thick documents with many pages. The different colours also allow you to organize marked pages into sections. These low-tack tabs will stick to any piece of paper, and help you to organize and identify important information quickly and efficiently. These filing tabs will save you heaps of time without all the fuss of constantly flipping the pages of your book to find the one you’re looking for. You may not have thought that this particular stationery would be important, but that’s what this checklist is for, right? Workload can easily pile up especially at the breakneck pace we work in so it can be easy to overlook things at times. To prevent missing important due dates, it is important to make a mark somewhere to remind yourself of the urgent work that needs to be completed first. An ‘URGENT’ stamp serves as a great tool to mark workload that needs to be prioritized. No matter how many mental reminders you give yourself or to-do lists you create, there’s nothing like a big, red ‘URGENT’ inked in red on a document to get you moving. Self-inking stamps are definitely the way to go as they’re not only quick, but they also take away the inconveniences of possible ink spillage from the ink pad. Simply place your stamp on the paper and you’re done. 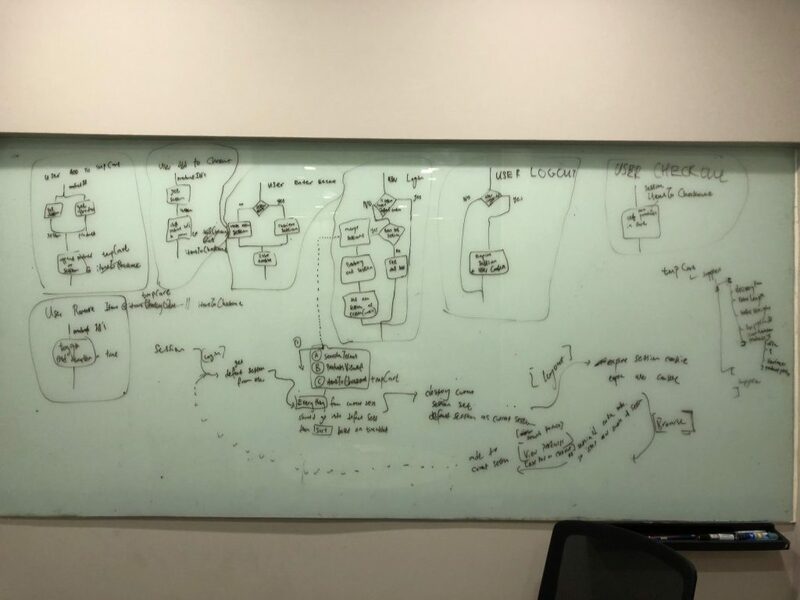 Whiteboards are useful for all sorts of things – jotting down reminders and to-do lists, writing down general company-wide announcements and even for random scribbles. It is also perfect to use or your next office brainstorming session, project timeline or interactive presentation to jot down ideas, formulate mind maps or draw diagrams. 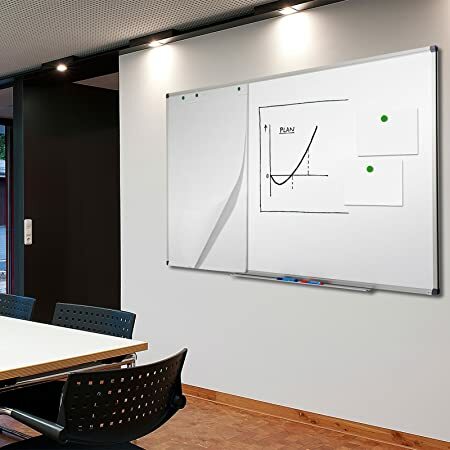 One, a magnetic whiteboard allows you to attach paper, fabric, textiles and other materials to it using magnets. In fact, attach a magnet to practically anything and you can stick it on your board. This makes it easier if you have printed documents or blueprints to show while you write on the whiteboard. Another benefit of magnetic whiteboards is that you can attach your pens and whiteboard marker to them. This not only saves you lots of space, you’ll never have to lose your markers again! Another one of our office stationery essentials would have to be a heavy duty paper cutter. Trimming or cutting paper using scissors or a ruler isn’t going to cut it (no pun intended) as using such tools will not give you a nice and neat cut. You’ll also waste a lot of time trying to get the alignments right. Therefore, you’ll need the right tool for the job. Low-quality cutters are less durable than their heavy-duty counterparts and are likely to be less safe too. If you’re cutting through a lot of paper and your blade snaps, it will not only ruin your work, you can also get a cut from the sharp blade and injure yourself. This, thus, poses as a safety threat. With a heavy-duty cutter that is reliable and durable, you can be assured that it is safe to use. Also, a good paper cutter will have blades attached and safely secured within the body of the instrument. That way, you can use the spare blades should the current one become blunt. Pens are absolutely essential in the office. They are a piece of office stationery that everyone needs. For everyday use, we recommend using retractable ballpoint pens. They’re quick and easy to use – simply click and you’re ready to use it. 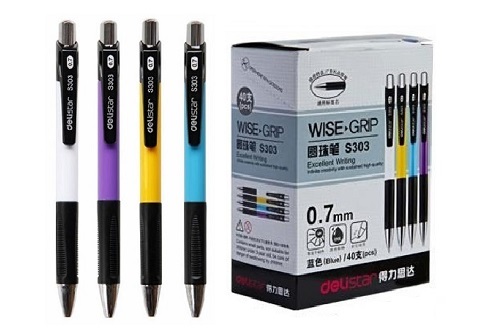 Unlike pull cap pens, you don’t need to worry about losing or finding the cap. Losing the cap can cause the pen ink to either dry out or leak, which can be a hassle to deal with. Also, ballpoint pen ink dries almost instantly and doesn’t smudge whereas for gel pen ink, it takes some time to dry due to the consistency of the ink and it also leaks more easily. Therefore, for fuss-free and easy use of pens, get the retractable ballpoint pen. The blu-tack is a reusable putty-like adhesive that is used to attach lightweight items onto walls, doors or other dry surfaces. It may look unassuming but it is definitely handy and good to have in the office. 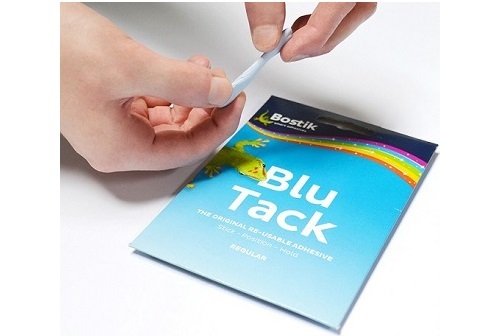 Because of its reusability and easy-to-use nature, the blu-tack is a piece of office stationery you simply can’t do without. It’s inexpensive and has heaps of different uses. The blu-tack is useful for putting up posters, photographs and thank-you cards around the office. But did you know that this amazing putty is also great for cleaning dust from hard-to-reach places like computer keyboards? This is a great and useful hack which makes the blu-tack so versatile! When you have important documents that you want to protect against damage, a laminator is what you need. 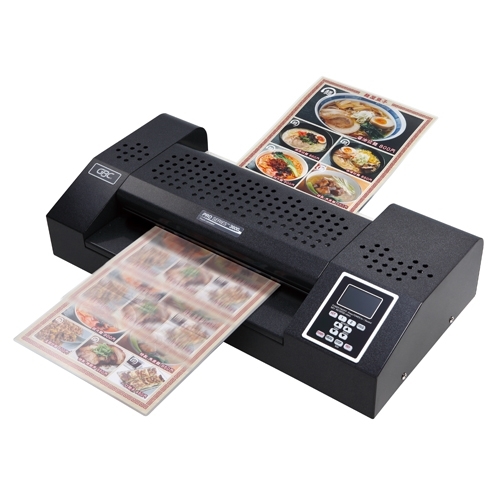 The laminator provides a protective barrier against moisture, stains and fingerprints and prevents it from being torn or folded. It not only preserves the quality of the material, lamination makes your documents a lot more professional as well. There are endless things you can laminate such as certificates, photos, important documents, office rules and so many more. You can use a laminator in a hundred different ways in the office. Another essential office stationery is a good adhesive like the glue tape. They are easily mistaken as correction tape due to its similar application but this is a genius tool that will help make your job easier. The way it works is simple, just set the tape head on the surface and glide it through. There you have a neatly applied double-sided tape strip! This makes sticking and taping convenient and fuss-free. Glue sticks makes things messy and takes time to dry up. Whereas for tapes, it can gum up your scissors and you may end up cutting a piece that is too longer or shorter than what is needed. The glue tape is small but handy stationery everyone would need. They can not only be used to attach things together, they can also be used for labelling and even making your own sticky notes! Save yourself the hassle, and invest in a glue tape. We’ve saved this one for last, because your office simply won’t be complete without a cross-cut shredder. A shredder plays a vital role in keeping your office – together with your employees’ and clients’ information – safe and secure. How so? 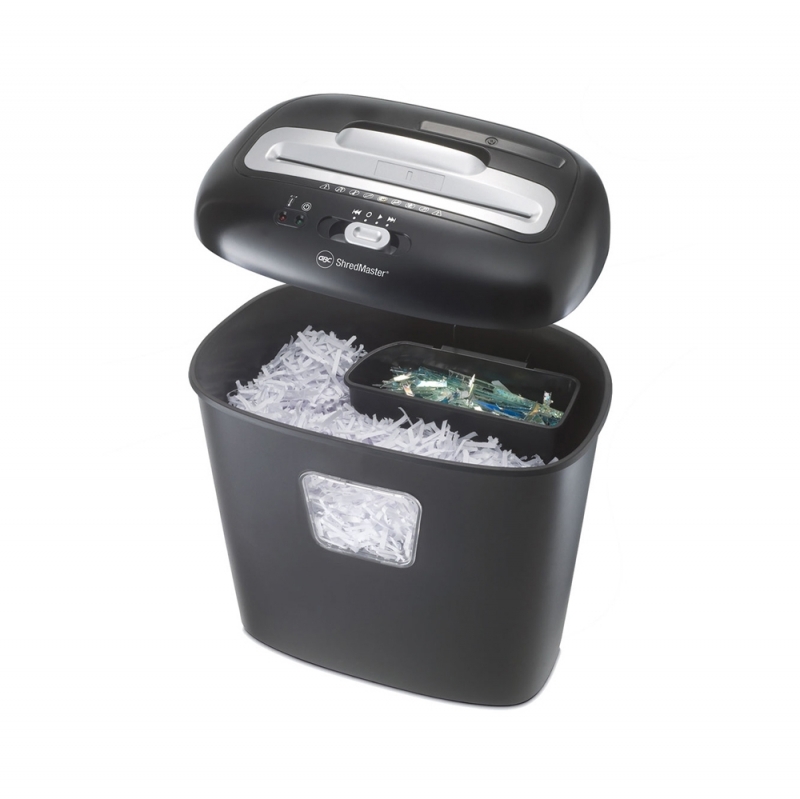 The simple shredder can help to avoid the risk of having classified information from falling into the wrong hands. Offices often have a separate bin for confidential documents to be thrown away. However, these files can still be easily retrievable. Therefore, it is completely essential that such information is safely and securely destroyed at the end of each working day. There are many types of shredders in the market, but the one that works the best will have a cross-cut mechanism. Cross Cut Shredders are certified to shred secret documents. Instead of shredding the paper into strips that could be easily glued back together, the paper is cut into fine pieces of confetti that are impossible to rejoin. That way, classified information is completely destroyed without the fear that it will fall into the wrong hands. While office stationery may seem like basic staples, their importance should not be overlooked. These simple things can help to improve workers’ productivity and efficiency, keep the office neat and organized and even facilitate the smooth running of the business. 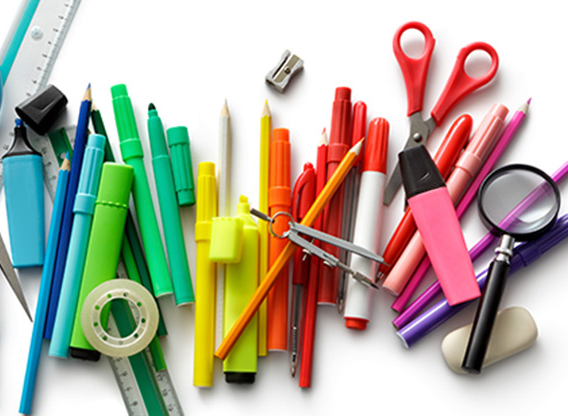 From the basics like pens, paper, and highlighters to machines like laminators and shredders, our checklist of stationery helps you keep in check that your office is equipped with these essentials. If you’ve missed out on some of these items on the list, browse through a wide selection of office stationery here and cart them out now! Is your office safe and secure? Check out this article on the importance of investing in good locks.